Users report drastically reduced dust and spillage, leading to a safer workplace, longer belt life and less downtime. 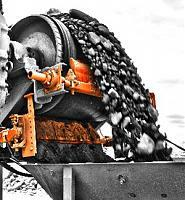 In operations conveying solid material, normal belt wear can yield valleys and depressions on the belt. Dust and fines that get into these blemishes remain after passing under primary and secondary belt cleaning blades, and become dislodged by shaking from return idlers, causing excessive dust and spillage. Water makes bulk material easier to remove by softening it, keeping the cleaner blades free from buildup and extending blade life by minimizing thermal breakdown due to frictional forces. The Martin® Washbox Cleaning System removes conveyor belt carryback, including sticky materials and fines. 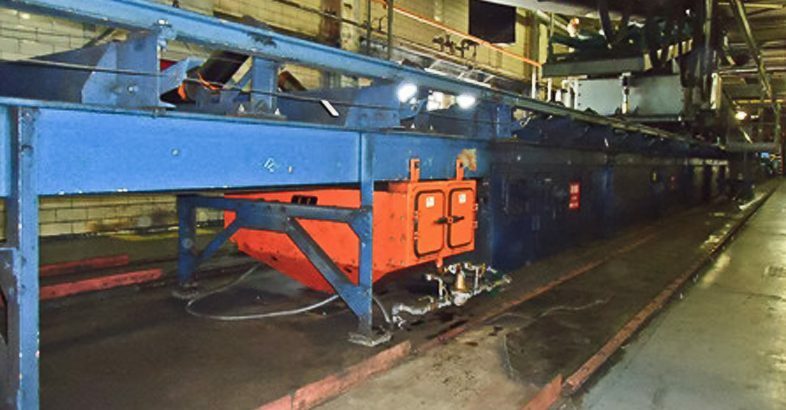 Available in two configurations, a Dual Cleaner System and a Single Cleaner System, the units are mounted on the conveyor frame directly after the return idler to ensure belt alignment throughout the cleaning process and to allow proper time for moisture evaporation on the return trip. 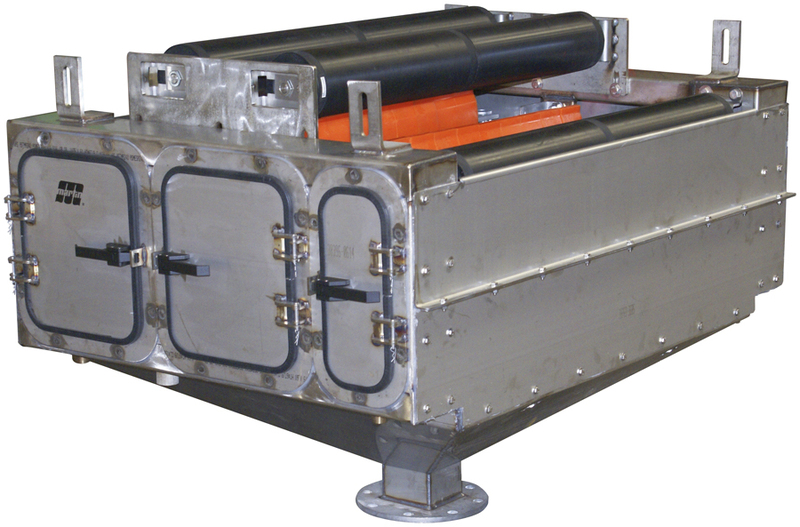 Passing through a powder coated steel box with top rollers, the belt is gently washed by spray bars equipped with 10 to 30 nozzles delivering 5 to 60 psi (.34 to 4.14 bar) of pressure, using 5 to 54 gpm (20 to 204 L/min) of potable or non-potable water. The belt is then scraped clean by a polyurethane blade and/or a urethane squeegee blade, set on a tensioner for a tight and consistent blade-to-belt seal. Residue drains safely through an outlet funnel below the box, which can lead to a disposal unit or a settling pond/vessel for introduction of material back into the process. Built for heavy to medium duty applications, the Dual Cleaner System is equipped with 3 rollers, 4 spray bars, 2 Martin® Inspection Doors and 2 polyurethane secondary cleaners. Recommended for use behind a primary pre-cleaner on the face of the head pulley, the color-coded, high-performance urethane secondary cleaners can be specified for acidic or high-temperature materials. Optional tungsten carbide or stainless steel tips increase the effectiveness and durability of the blade against difficult or rocky carryback. The cleaner system can be specified from 30 – 60 inches (762 – 1524 mm) in length and 44.4 to 53 inches (1129 to 1350 mm) in height, and fits on most conveyor frames by adding approximately 17 inches (432 mm) to belt widths of 18 to 84 inches (457 to 2133.6 mm). The Single Cleaner System houses a roller, a secondary blade and a spray bar, which are accessed by an inspection door housed on either side of the enclosure. Intended for tight-fitting spaces on light to medium duty applications, the compact unit is 15 inches (381 mm) long and can be specified from 34 to 42.2 inches (864 to 1072 mm) in height. The total width of the unit can be determined by adding 17 inches (432 mm) to the belt width of 18 to 48 inches (457 to 1219 mm). Recommended for use in tandem with a pre-cleaner, operators have found these units work well for both indoor and outdoor applications where walkways need to be kept free of clutter and pooling. Operators concerned with the amount of moisture remaining on the belt have the option of adding a squeegee roller, which has proven to effectively address wet carryback. Set between top rollers, it lifts the belt slightly and “flattens” the layer of water on the surface from an average of 50 microns in thickness to 20 microns. This allows the water to better evaporate during its return, particularly on shorter conveyors. The system combines water spray and secondary cleaning blades in an enclosed, self-contained unit. 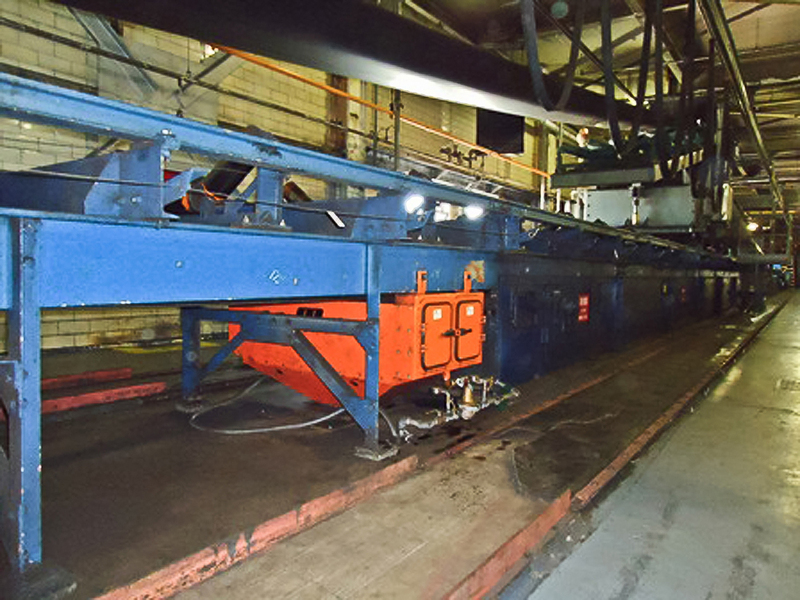 Although the Martin Washbox Cleaning System has been proven in a variety of different industries, one of the more challenging field tests was conducted on a coal-fired energy plant located in Michigan. According to the senior plant engineer, the company had switched to PRB coal, a more brittle and dustier product than the previous coal for which the existing cleaning components had originally been intended. 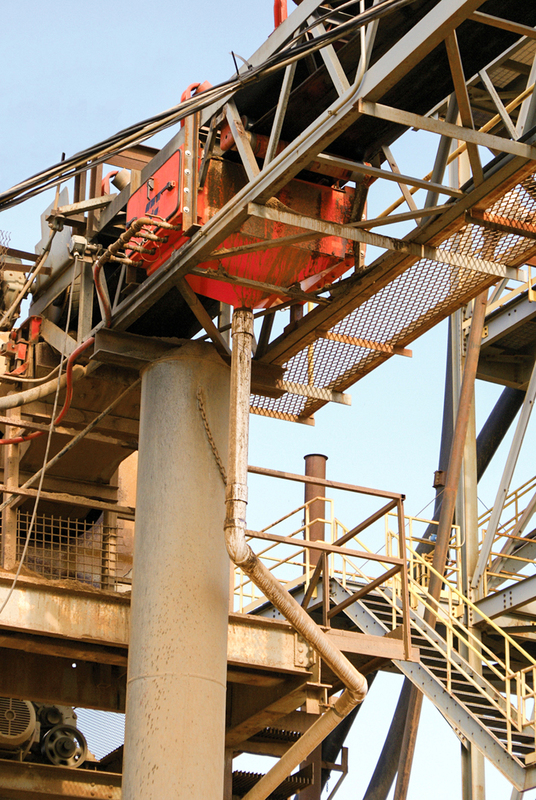 Operators were seeing excessive dust build-up from carryback on the largest conveyor. The utility used belt scrapers, brush cleaners and dust seals at various points on the conveyors, but the equipment was not adequately addressing the carryback from the new material. This resulted in hours of removal by workers sweeping, shoveling, vacuuming and/or washing down the affected areas on a daily basis, drastically increasing the cost of operation. Martin Engineering was invited to come up with a solution. Representatives first took benchmark dust readings and found that the 42-inch wide belt, moving 817 tph (732 metric tph) of coal at a belt speed of 475 fpm (145 m/min) resulted in an estimated dry weight carryback of more than 20 tons of coal dust per year. By adding a primary pre-cleaner on the head pulley and a Dual Washbox Cleaner System, the utility experienced a 99% reduction in estimated carryback over the test period. As a result, carryback now accounts for less than a hardhat’s worth of coal dust per day. Operators noticed that visible airborne dust had been virtually eliminated and cleanup frequency was reduced to once per week, pointing out that the unit paid for itself even before the conclusion of the test period. Founded in 1944, Martin Engineering is the global leader in making bulk materials handling cleaner, safer and more productive. The company supplies conveyor products and flow aids around the world for a wide variety of bulk material applications, including coal, cement, aggregate, biomass, grain, pharmaceuticals, food and other materials. The firm is headquartered in Neponset, IL, offering manufacturing, sales and service from factory-owned business units in Brazil, China, France, Germany, Indonesia, Mexico, South Africa, Turkey, India and the UK, and under exclusive license with ESS Australia. For more information, visit or call (309) 852-2384. Global representatives for Martin Engineering can be found at www.martin-eng.com/rep-finder. © 2015 Martin Engineering Company. All rights reserved. Martin Engineering products are protected by U.S. Patents, corresponding foreign patents and patents pending. Additional information can be obtained at www.martin-eng.com/trademarks. You really didn’t go easy on your test run, I’m impressed. There aren’t many things dustier than coal. I just wanted to know if you had a video of this belt scraper cleaning a belt so that I could see how effective it is?